This has done well and looks really good. I am very dissapointed with how to control it. The app on the phone is difficult to program and the app meant for the computer does not work. Let alone no customer service. I purchased both plus & slave unit, had a few quirks setting up, but once it was set the light was amazing and I'm getting good coral growth from it. I like the fact that Wifi is built in. 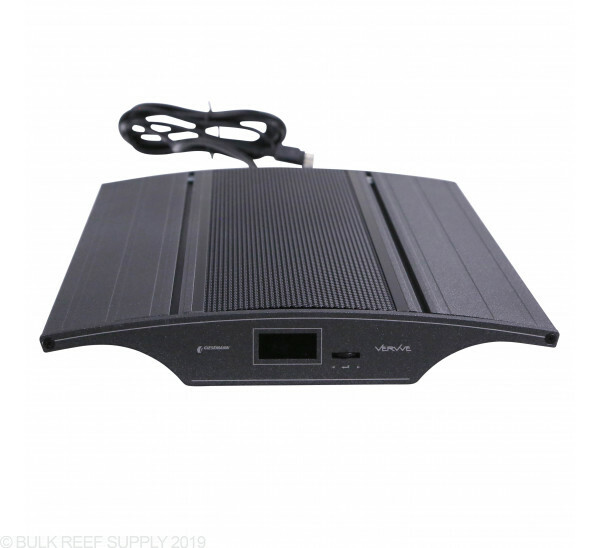 also like the fact that the cooling fins are large and part of the unit. 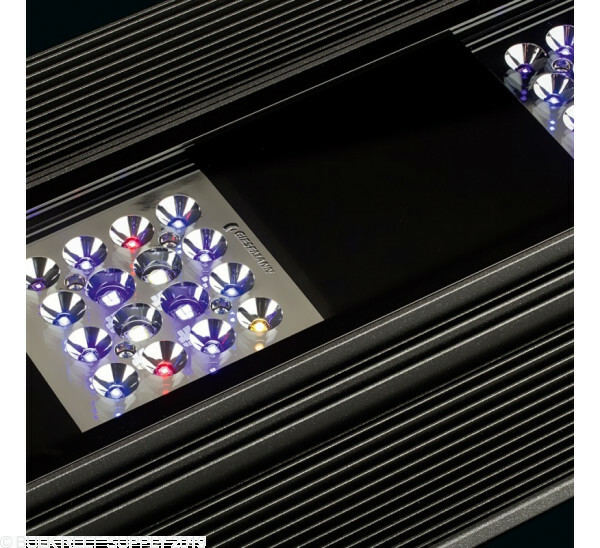 The combination of Cree leds make for a overall wide spectrum of light. I had a few hiccups in the beginning, but Coravue quickly replaced the units for me. Overall good customer service. Product has a few quirks on mounting braket sold elsewhere and bluetooth app, but all in all I very much like better than Ecotech at this point. 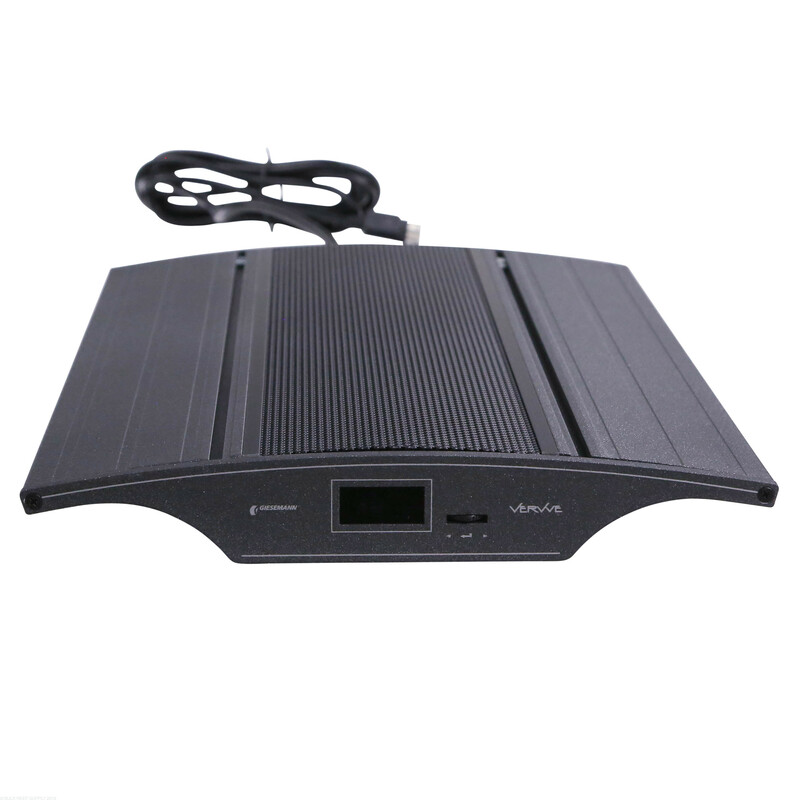 Control is easy with not wifi or other adapters needed. Range of light and output is adequate. I use on 20" x 20" x 30" deep and works all way to bottom not at full power. Nothing better out at the moment but often overlooked by amount of competition. The vervve master turns on in a low output mode. I turned on the slaves, put them on the granite countertop, within 5 minutes, pop. Glass broke. Was going through the setup instructions. . Both slaves had the glass break due to heat. The slaves turn on in max output. Be careful. And do not put them on. A countertop. Excellent fixture. 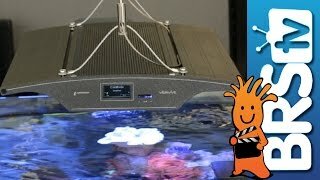 I had other fixtures before and nothing compares - nice design, powerful, amazing features and probably best software on the market - me and my corals love them!!!! There was a mention of a hanging arm...my tank has Europe bracing....does this unit has any other option instead of just hanging to a wall or ceiling? If so where can I get them? 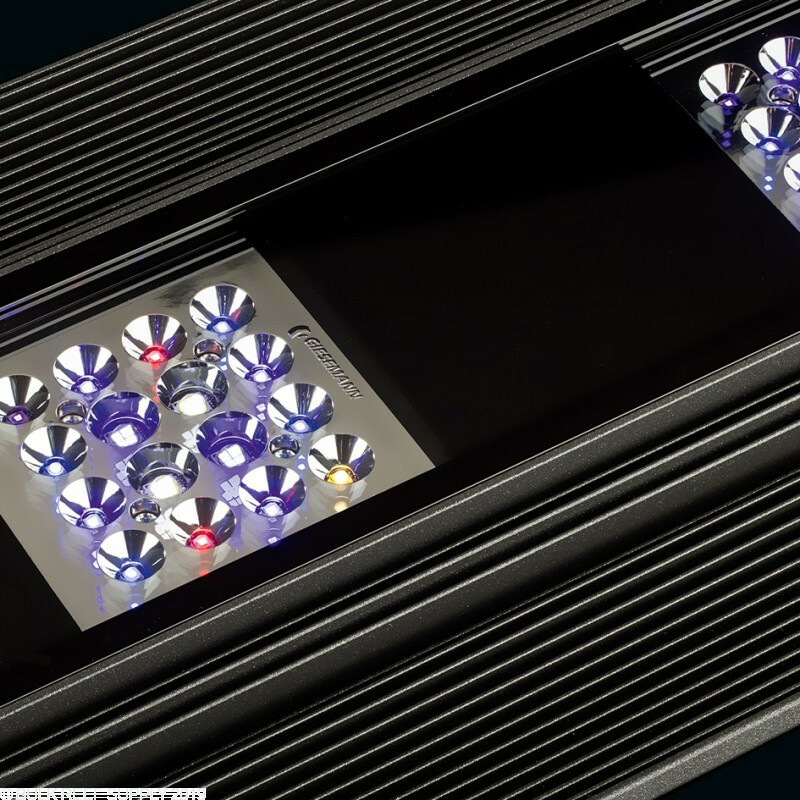 I know your getting the same question on different sizes, but I am having trouble figuring out how many fixtures to get on my build. I plan on majority SPS with mix of LPS too. The problem is the width. I just ordered an aquarium 60" in length by 30" in width and 25" in height. I was thinking I would need 3 placing them to run the width of the tank, as opposed to the length. Help would be greatly appreciated. A lot of your lighting needs will be dictated by your rock work, and coral placement. 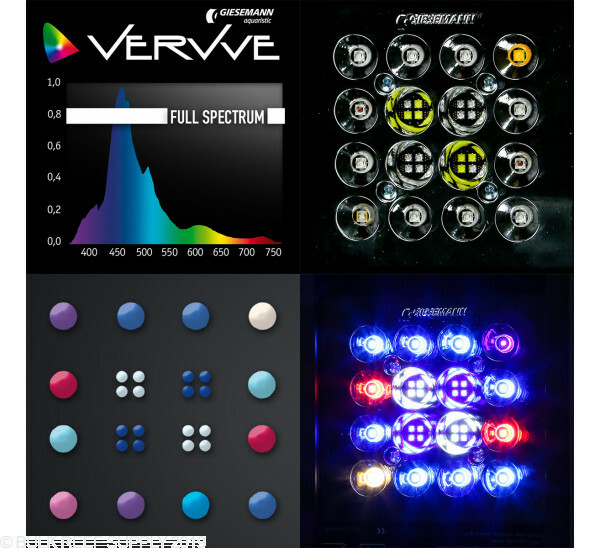 You could easily get away with just 3 Vervve LED lights and if you can suspend them a bit higher than normal you should be just fine. Running the lights front to back, instead of side to side will really help too since the longer dimension each light has to cover will be the front to back dimension anyways. Thanks for the questions and if you have anymore, just let us know. So if you want to string multiple of these together is it better to go with the plus or the one? 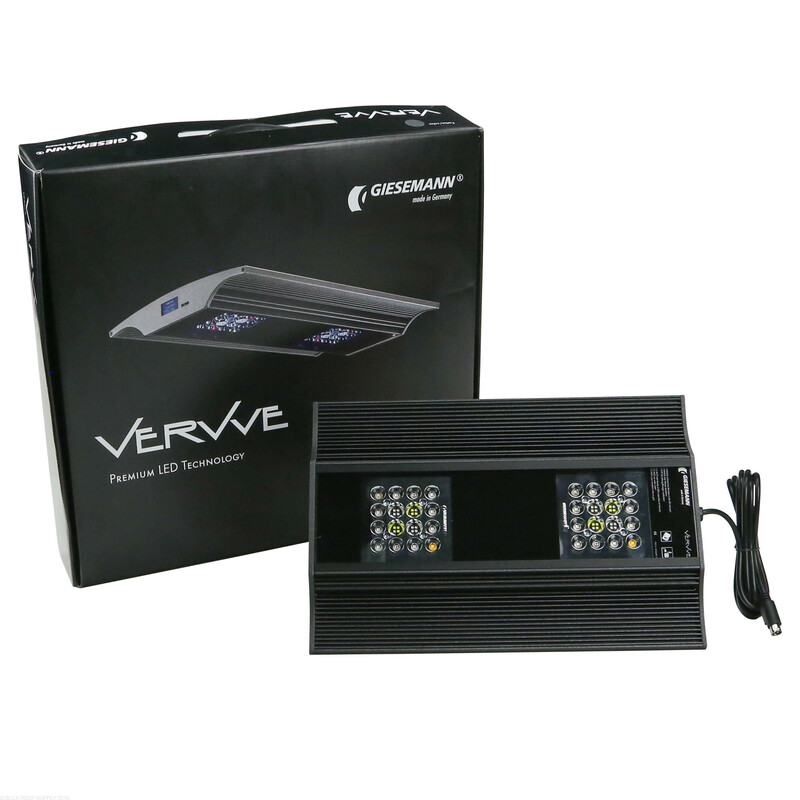 In order to control multiple fixtures, you will need at least one Vervve Plus fixture to control the Vervve One fixtures, as this provides the programming/control interface. What are the settings to get this emulate the ATI Blue Plus bulb mentioned in the BRS video? I ask as I purchased light and like it very much, but want to complete set up. I am hoping it is one of the presets but please update me. Thank you! 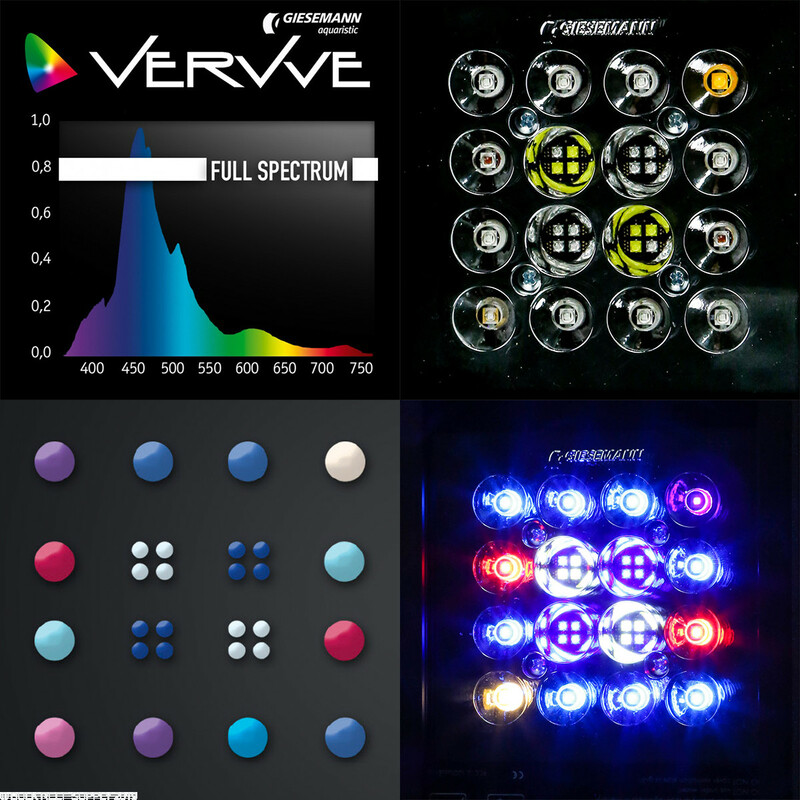 As this is a Giesemann fixture, and the Blue Plus is an ATI brand bulb, as well as the fact that the Blue Plus isn't typically a stand-alone bulb option, I don't foresee them creating a preset around this bulb, but it's fairly easy to emulate the spectral curve by running the three blue channels and UV at max intensity, the white channel at about half that, and the reds turned down to zero output. I jave an 84x30x30 mostly sps how many of theses would i need to cover that? This will require somewhere in the range of 4 lights for best spread. How many of these units would be needed for a 150G - 5*2*2 tank??? Even better question, how many would be needed for a 72" 30" deep? We recommend 3 for best spread and penetration., While two could work well with lower light corals. Feel free to let us know if you have any further questions! My tank is 36 inches wide by 30 inches deep by 24 inches high. How many of these lights would I need to cover this tank? These will have a designed spread to work great over 30" x 24" tank. While one could work with less corals towards the edges for ev en coverage 2 would be best. You can get by with one unit and some less penetration on the edges. Feel free to let us know if you have any further questions! 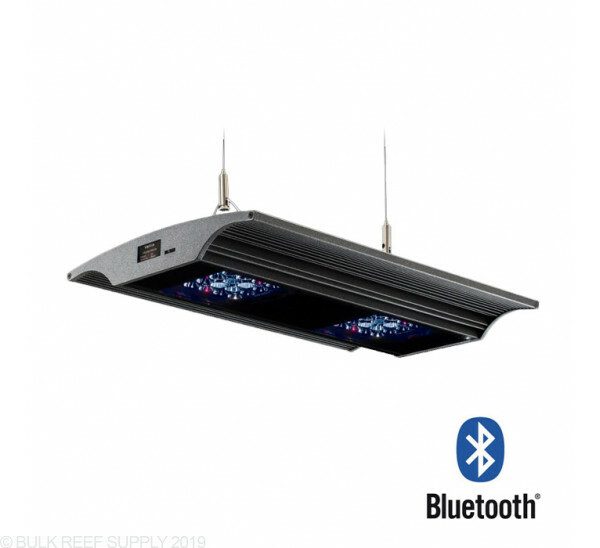 If I were to place these inside a canopy, would it still be Bluetooth accessible? 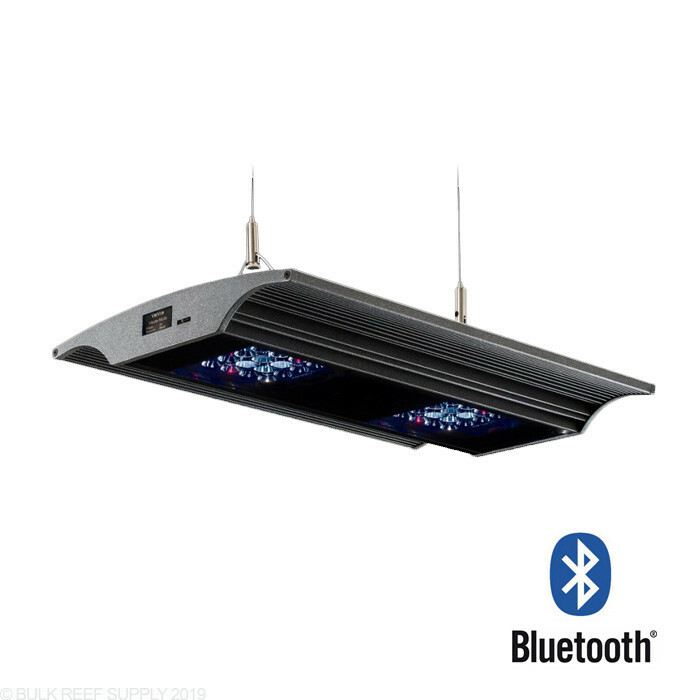 While the Bluetooth signal should not be interfered with by the canopy you may still need some access to the buttons. Feel free to let us know if you have any further questions.